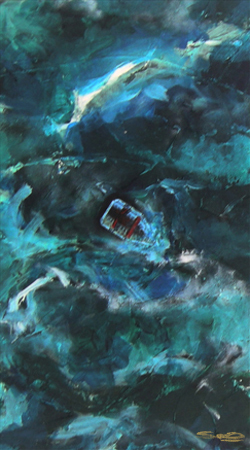 “In the middle of the Ocean” is a painting series about a man inside a life boat, far away, surrounded by the fury of nature: As the storm rages the figure endures, perhaps even enjoys the spectacle which he finds himself a part of. It is a trial whose outcome is of no consequence. His life within the moment, the moment an eternity. The painting series continues a story I’ve written prior to painting these images, under the title of “June 3rd”*. 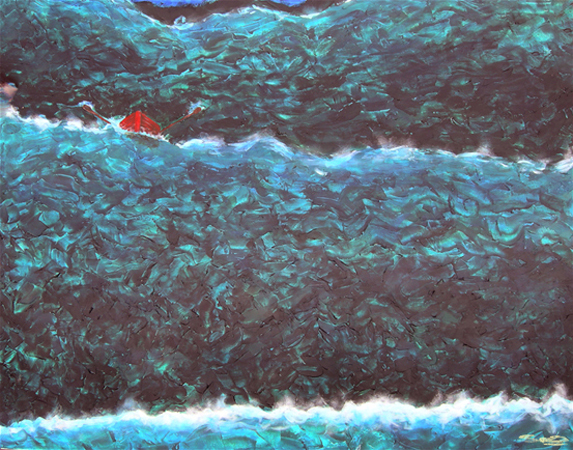 Each one of the paintings is a snapshot of the moments where the storm has descended upon a nameless character. 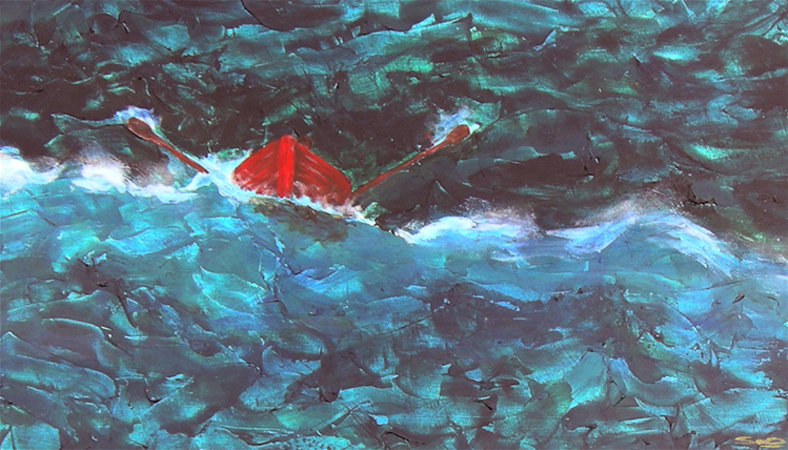 The storm itself represents the chaos which surrounds each of us with the boat as a symbol for our perception or awareness which helps to make our way across the Ocean. 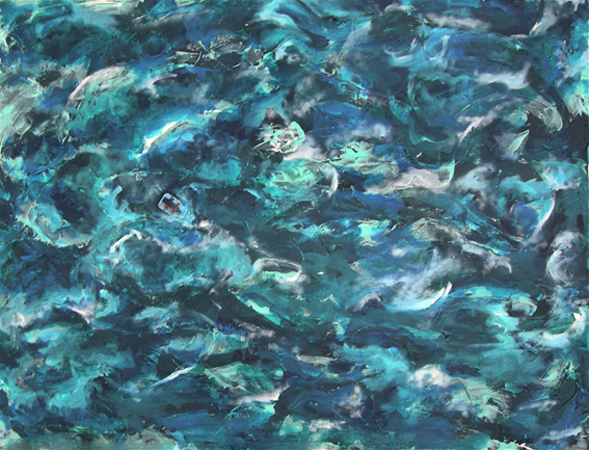 To depict the depth and fluidity of the ocean, I have mixed various colors in varying quantities of acrylic gel mediums in order to allow for transparencies and optical mixing. 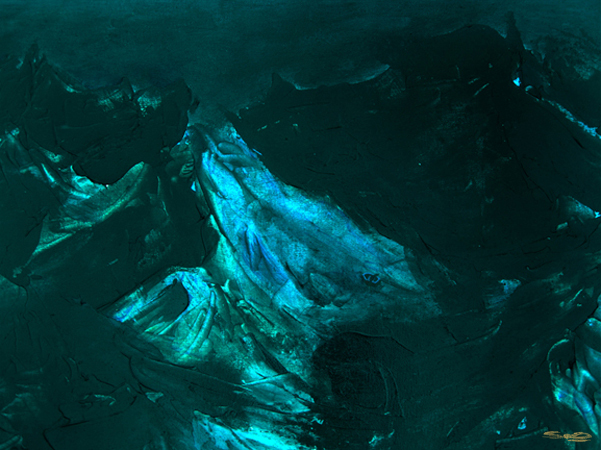 The gel mix allowed me some degree of sculpting the paint with pallet knives giving it a dynamic and three-dimensional quality furthering the drama of the image. *One of four stories in Zine 4, a Dodalist writing exercise.